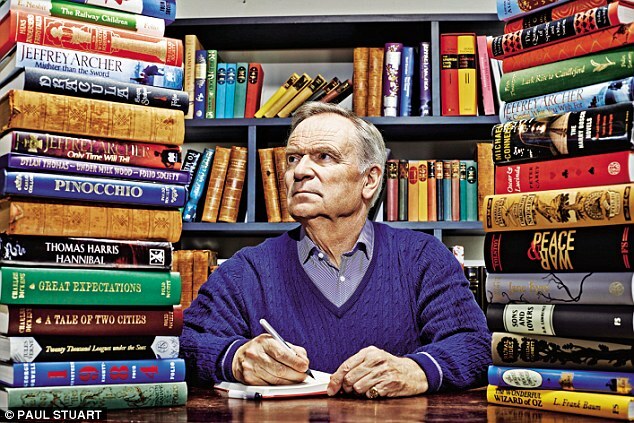 Jeffrey Howard Archer, Baron Archer of Weston-super-Mare (born 15 April 1940) is an English author and former politician. Before becoming an author, Archer was aMember of Parliament (1969–74), but resigned over a financial scandal which left him almost bankrupt. Later, after a revival of his fortunes from the royalties of his best-selling novels, he became deputy chairman of the Conservative Party (1985–86) before resigning after another scandal, which would lead to the end of his career in elected office. He was made a life peer in 1992. His political career ended with his conviction and subsequent imprisonment (2001–03) for perjury and perverting the course of justice, which followed his second resignation. His books have sold at least 250 million copies worldwide.